This whole thing started because I’m in a situation where my spouse doesn’t want a cell phone. She uses Google Voice to text with myself and her friends, but this only works when she’s at home on her laptop, not sitting in the car on the side of the road or standing in an empty parking lot wondering which parking lot I’m trying to pick her up in. I wanted to find a way to pay next to nothing to have an active cell phone in her pocket she could use in emergencies or in those one-off situations where it would just be convenient as all heck to just send a few txt messages and coordinate things quickly. What I found is pretty amazing. 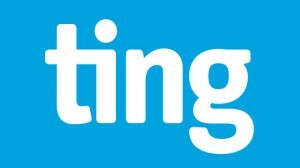 Ting is one of those sub-carrier services that operates on the Sprint network, but what makes them fabulous is that they have no plans, and no contracts. 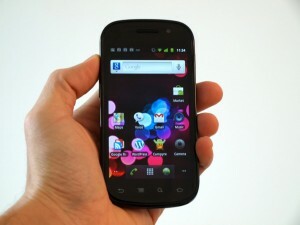 You simply pay as you go, and the prices are so cheap they actually save most “normal” cell phone users money anyway. The pricing page kind of threw me for a minute because it lists prices in columns labelled XS, S, M, L, XL … but this is just for reference. You can click around inside the grid to select your normal usage for voice minutes, text messages, and data service in order to estimate what your average bill will be, and in my case even my normal usage was still cheaper than my Verizon “plan” that I pay monthly for even if I don’t come close to my plan limits. So here’s the good part… the only thing you pay to have an active phone on the network is $6/mo. Yep, just $6/mo to have a cell phone on the network. This really works out well for us because while Jenny is home, she can have wifi turned on and use her Google Voice app to text with friends on the phone all day long for free. Once she’s out and about, the data service is so cheap and SMS messages are such small amounts of data to send, it’s far cheaper to send a text through data service than it is through her Ting phone number, so again she can just keep using the Google Voice app to send and receive SMS while out of the house and pay next to nothing. Voice is another story though. I thought about putting a VoIP app on the phone, but it’s cheaper to pay the 2 cents per minute for a voice call than pay 2.25c per MB of data. Now finally, the best part (in my opinion)… you don’t have to buy a new Ting phone, just bring any old Sprint phone to them and they will activate it. I bought a used Sprint phone off eBay for just $35… and not a crap phone, a nice (but slightly older) Samsung Nexus S (Google Nexus S) and it works great! This entry was posted on Saturday, August 31st, 2013 at 1:17 pm	and is filed under Life in general, Reviews. You can follow any responses to this entry through the RSS 2.0 feed. You can leave a response, or trackback from your own site.